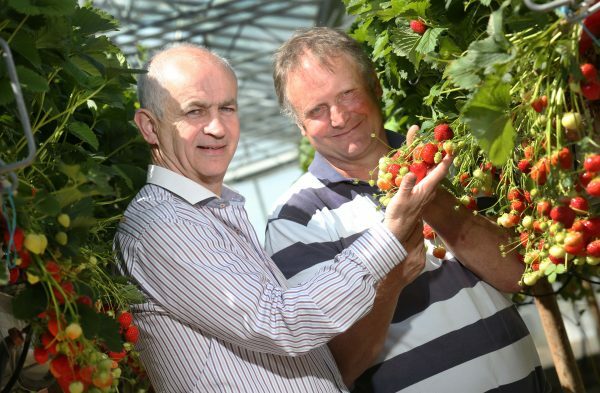 The IFA President Eddie Downey has called on retailers to recognise the investment made by strawberry and fruit growers in this country by ensuring that fresh fruit is seen on retail shelves as a premium quality product and not used as a loss leader in retail wars. Marking National Strawberry Week (1 -7 June) on Cyril Wheelock’s farm, outside Enniscorthy, Co. Wexford the IFA President said, “Ireland’s 100 Strawberry growers produce a crop worth €38 million at the farm gate, with production expected to reach almost 8,000 tonnes this year”. “IFA is actively involved in the monitoring of proper labelling of fruit both on retail shelves and in road-side sales. Only by regular monitoring and reporting of issues to the Department of Agriculture can a resolution to non-identifiable produce be achieved,” said the IFA President calling on consumers to check for the country of origin when buying fruit and to support Irish production.